Photo by Steven Allen Adams Senate President Mitch Carmichael, R-Jackson, talks about the status of legislation at the halfway point Thursday of the West Virginia Legislature. 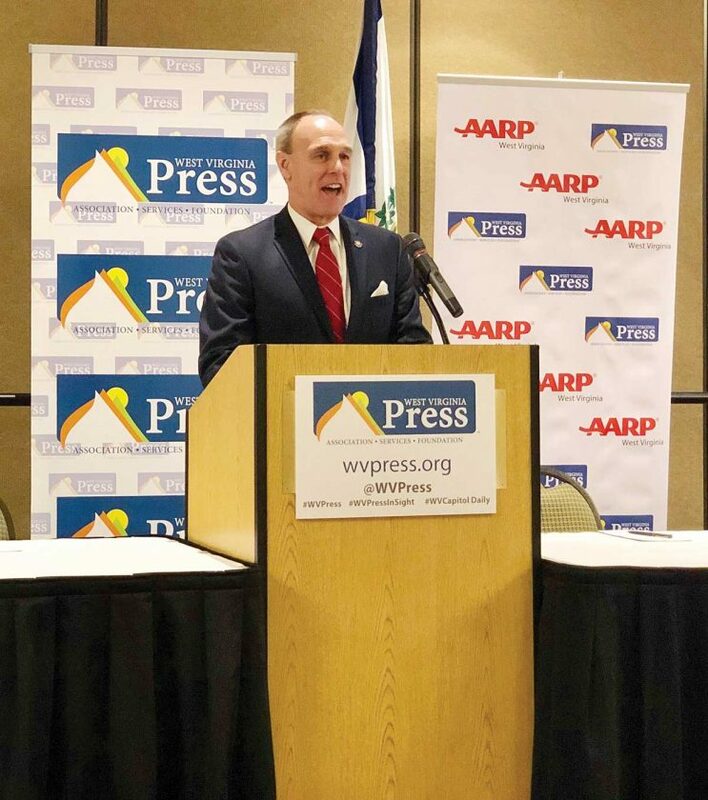 Leaders met with the press at the annual West Virginia Press Association Legislative Breakfast Thursday. 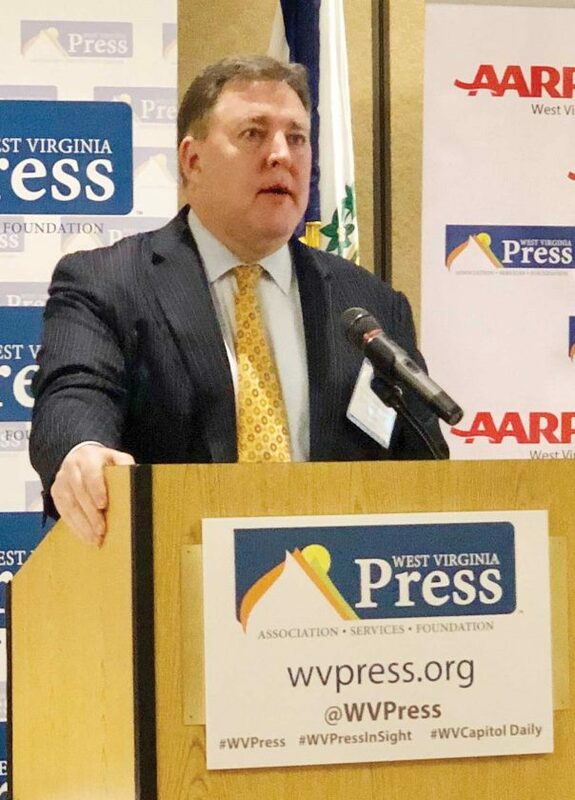 Photo by Steven Allen Adams House Speaker Roger Hanshaw makes a point Thursday at the West Virginia Press Association Legislative Breakfast Thursday. Photo by Steven Allen Adams Senate Minority Leader Roman Prezioso, D-Marion, says the governor’s absence in the discussion on education has created a vacuum in Charleston. 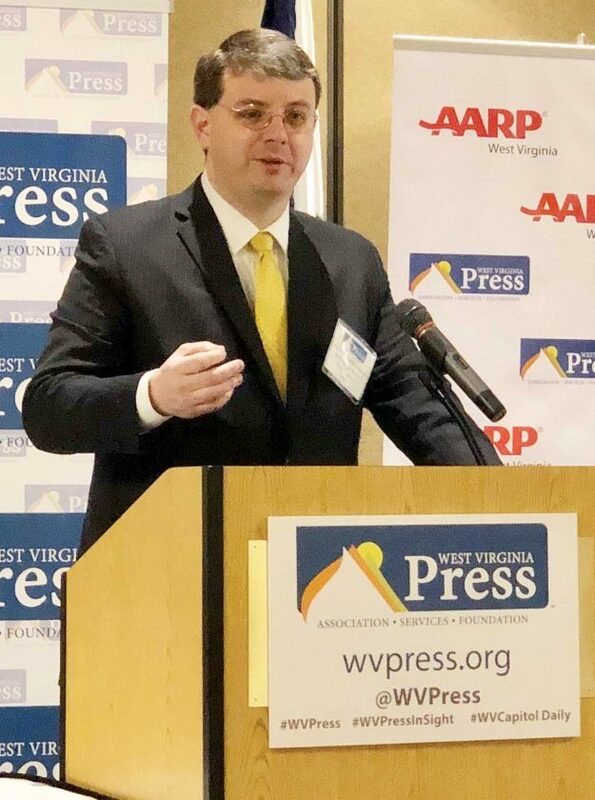 Photo by Steven Allen Adams House Minority Leader Tim Miley speaks at the West Virginia Press Association Legislative Breakfast Thursday. The biggest bill on the Legislature’s agenda, both literally and figuratively, is the Senate’s massive education reform package. Senate Bill 451 is in the House Education Committee after being passed by the Senate 18-16 Monday. 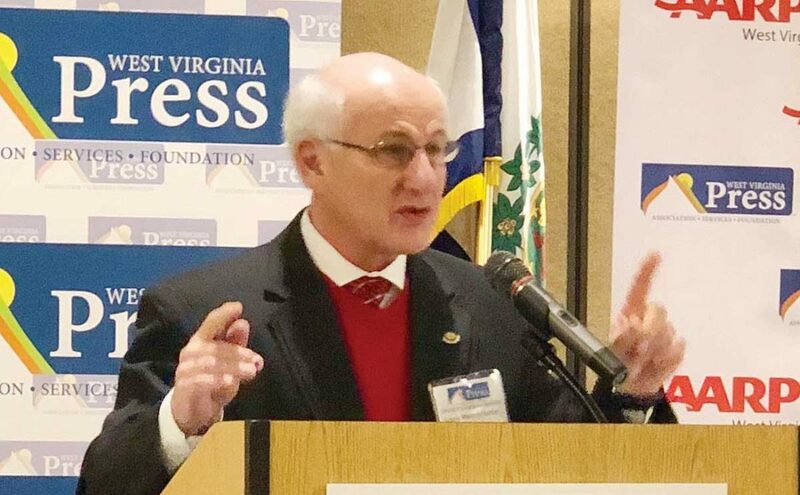 Hanshaw announced Thursday that there will be a public hearing on the education bill in the House chamber at 8 a.m. Monday. Hanshaw didn’t spend much time talking about SB 451 during the press association event Thursday, deferring to Carmichael. However, Hanshaw said the legislative process, including public hearings, helps lawmakers hear all sides of an issue. Senate Minority Leader Roman Prezioso, D-Marion, said the absence of Gov. Jim Justice from the legislative education discussion has created a vacuum in Charleston.